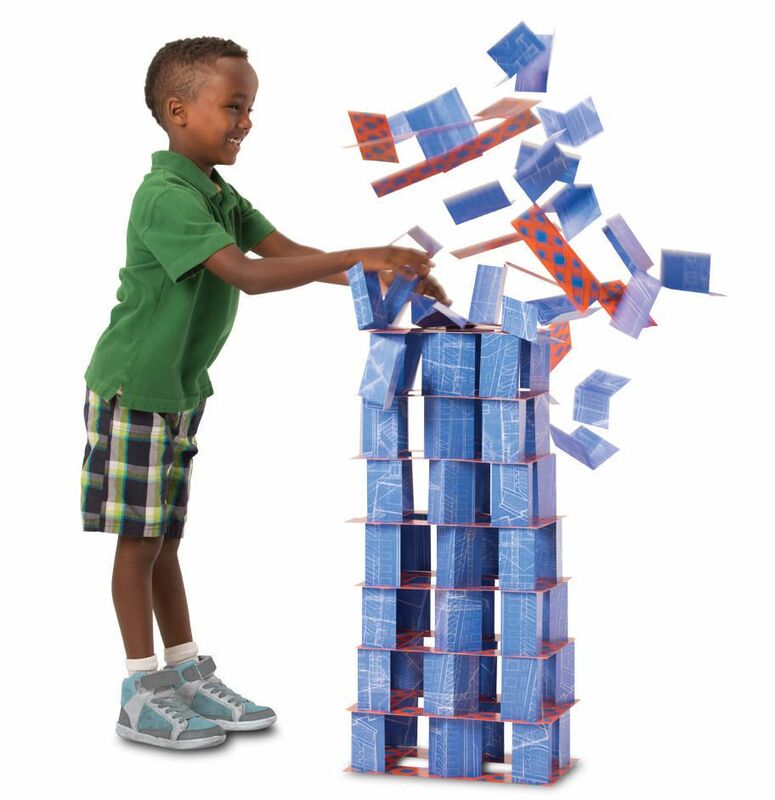 Stack the building cards to create skyscrapers, bridges and high-rise towers. 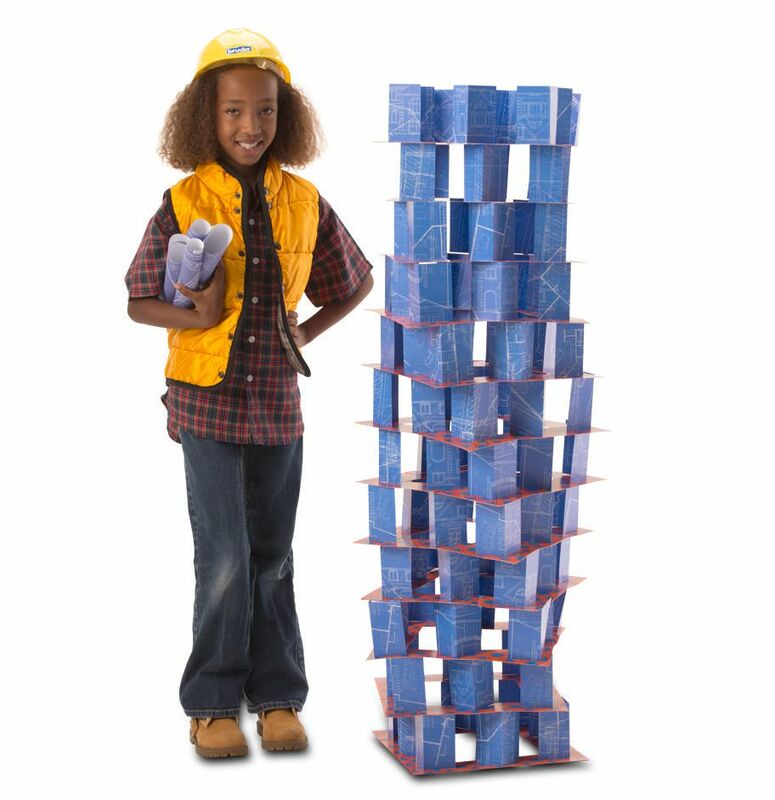 The handy blueprint guide provides all the step-by-step instructions for building amazing constructions. Design and build towers up to 5’ (1.5 m) tall. 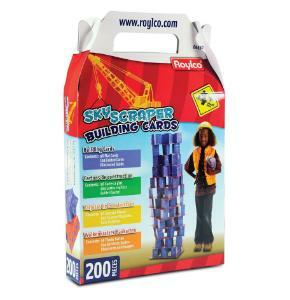 We’ve designed two types of cards to make building fast and fun and clean up easy. When the structure is complete, encourage children to release their inner giant and knock the tower down! The auditory effect makes a great sensory experience! 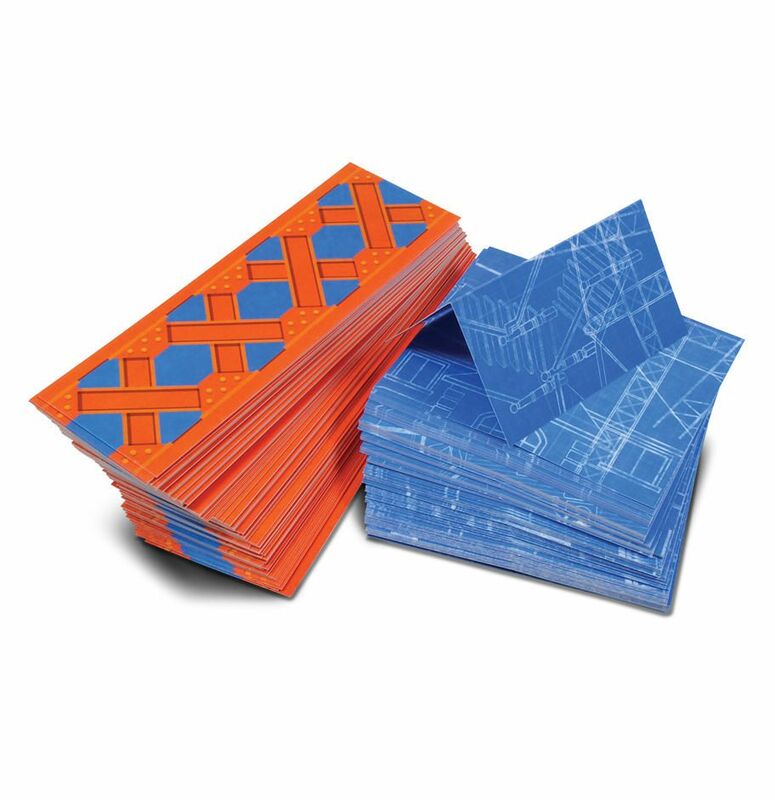 The cards are printed with a blueprint design so that every construction appears uniform. 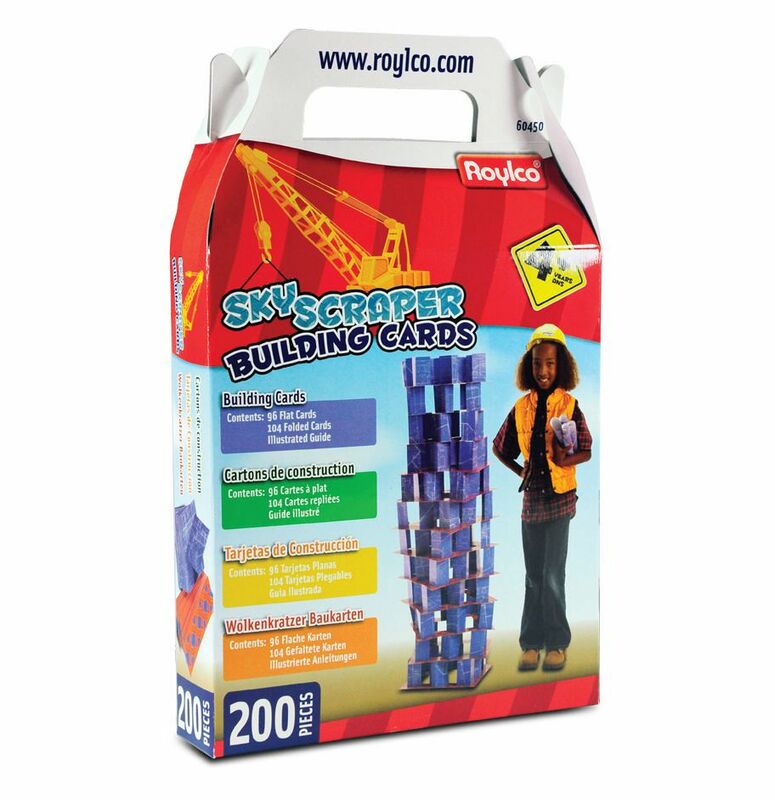 Includes: 200 cards, 21/2 x 71/2" (6.5 x 19 cm) and 4 x 41/2" (10 x 11.5 cm) and guide.